Below is a video demonstrating my PS3 4.00 Dev_Flash modification, which simply allows users to install Retail signed package (PKG) files from the PlayStation 3 XMB. This installation procedure is the similar to technodon's original dev_flash hdd swap procedure. once installed turn the console off again and swap hard drives back and you should boot into a modified 4.00 retail firmware. P.S. BTW the "nas_plugin.sprx" in this dev_flash has not been altered to achieve "Install Package Files". Also for those who will analyze my modded dev_flash, you will find that I have used debug .sprx files from the a debug 4.00 pup. P.P.S. I originally intended to get "Debug Settings" to work with this. 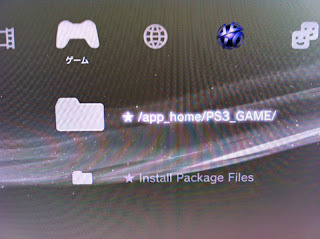 But usage of "debug settings" required the ps3 to use a debug vsh.self, and that crashes the ps3 when trying to load applications (I did some other things as well to prevent the PS3 from giving me a RSOD when I swapped the vsh.self files, I'm not detailing it in public because I don't want Sony to patch it).